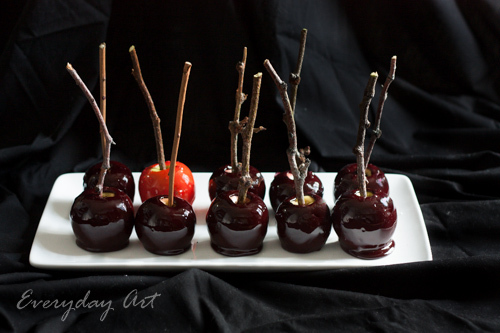 When it was my turn to host book club, and lucky me, it fell on our Halloween month when we were reading selections from Edgar Allen Poe, I knew I wanted the food to be black and creepy, so I decided to make these "poison" black candied apples. They were perfect! At first when I was looking for ideas, I googled "black food" and had quite the chuckle about all the cornbread, okra and fried chicken that came up. :) Ha! That wasn't really what I was after, but it made me laugh either way. Well, once I decided on this, it was quite fun to put it all together. 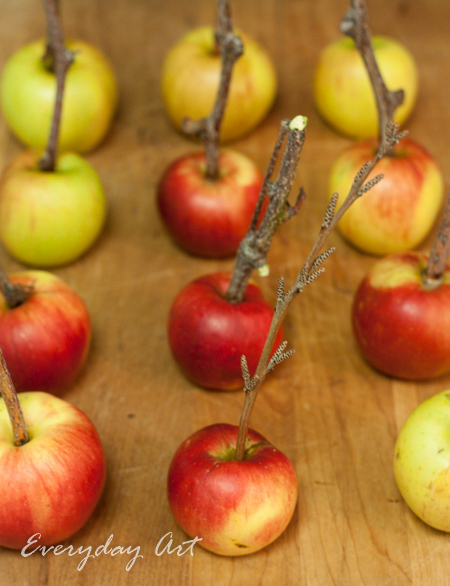 I collected sticks, found some apples and bought some black food dye. 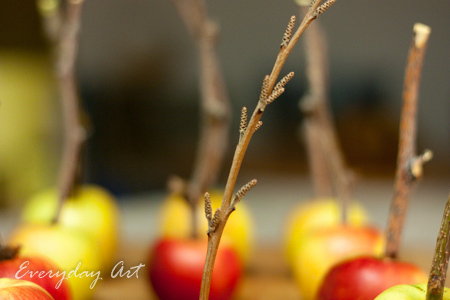 I followed the recipe for candied apples that was in my old Better Homes and Gardens cookbook I inherited from my grandmother--only I added black dye rather than red. It worked out great! I think I may have cooked the candy-coating a bit too much because it was REALLY hard and thick. It made the apples nearly inedible; however, I made them more for decoration than for eating, so I didn't care. 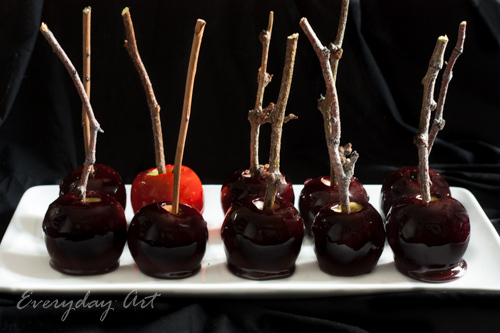 I also liked the accent of having just one red candied apple. Perfect decoration for an Edgar Allen Poe night.